A ‘quirky’ map to help people to find their way around the shopping area and main attractions at the centre of Hythe in Kent. We had already produced a Tourist map for Hythe to help people to find their way to the many attractions in the town and its surroundings. This Map has a different function and is to direct people around the town centre and in particular, the shopping area. 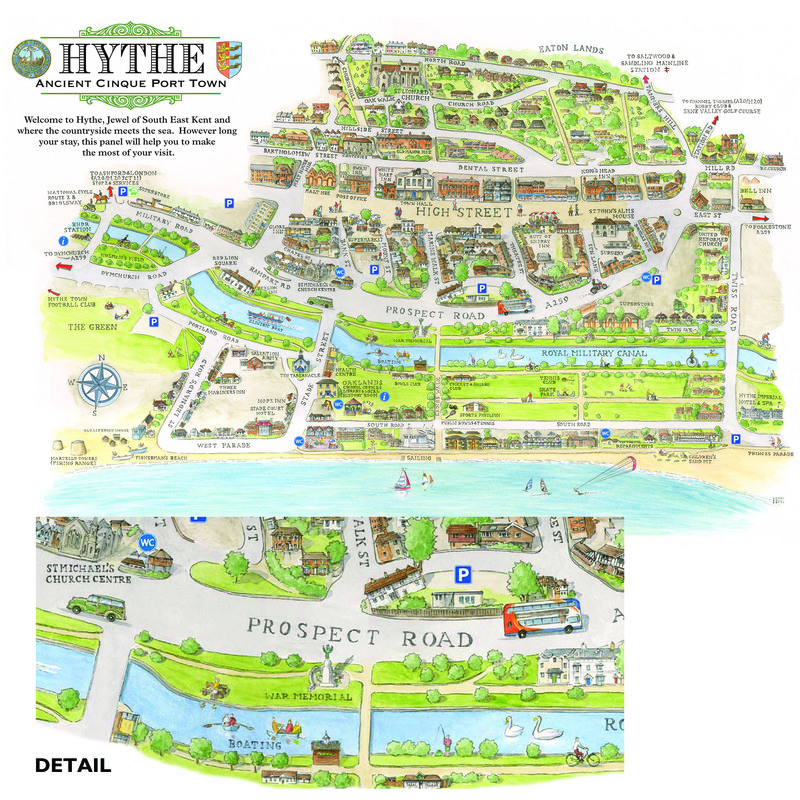 It is drawn in a quirky and primitive style that is designed to capture the quaint and ‘olde worlde’ feel of Hythe.